Our experiences as children have a lasting impression and influence. My strongest memories of fire as a child are letting off firecrackers around a campfire, an activity with an element of danger, and seeing a vibrant blood red sun disappear over the horizon. The colour of the sun was caused by the smoke particles in the air from a bushfire. Perhaps it was that moment of beauty that led me to study the ecology of fire. I’d like to think that it played a part. This image was taken by Dr Malcolm Gill, a world renowned fire ecologist, on Valentine’s Day in 1991 (this foam-backed print, which I’ve had since then, is starting to show some wear!). The fire was on Black Mountain in Canberra, Australia. I took this opportunity to monitor over 1000 eucalypt trees and seedlings for over 18 months. Why? To see how they recovered after fire. 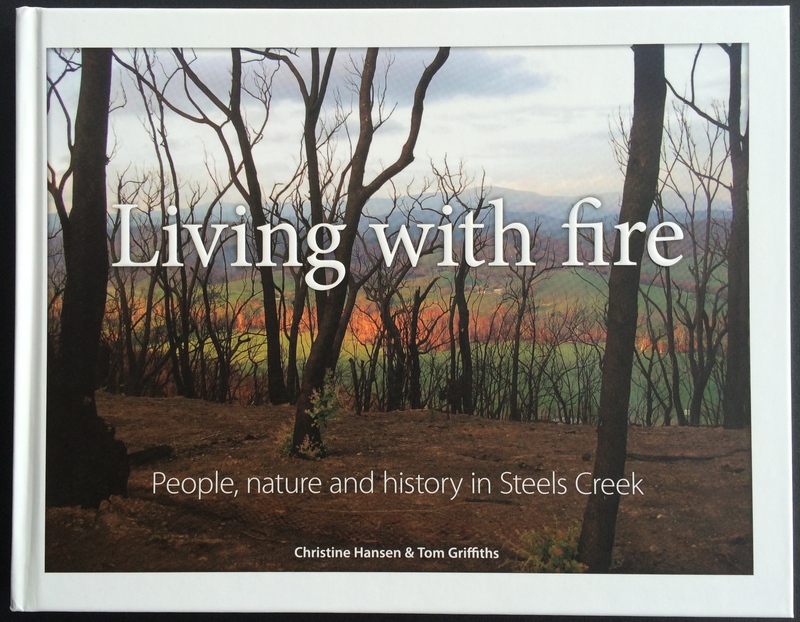 The research made me appreciate the resilience of dry eucalypt forests and fuelled a lifelong fascination with fire. The sun is the ultimate expression of fire, it’s energy reaching us from 149.6 million km away. Without the sun, life as we know it would not exist. It is no wonder that so many cultures have worshipped and personified the sun. The two countries where I’ve been most struck by the cultural importance of the sun are Peru and Japan. The Inca king was considered the ‘son of the sun’, the sun’s representative on earth. He ruled the Empire of the Sun and his people and their descendants are called the People or Children of the Sun. The Temple of the Sun (Qurikancha) in Cuzco, although largely destroyed by the Spanish, is still a sight to behold. 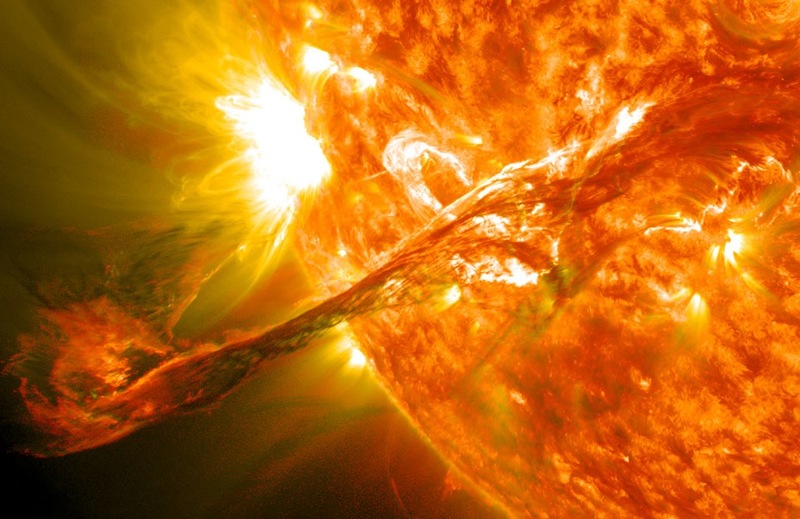 The energy of the sun is captured in this artists impression of a solar flare. It looks like liquid fire. Closer to home, images of the sun as it crosses the sky represent this energy in a different form. One of the reasons we take so many photos of the rising and setting sun may be because of the connection to our inner fire or as the source of life. Source: APOD. The Qurikancha (the Temple of the Sun in Cuzco, Peru) was covered with gold and filled with golden statues. In one of the tragedies of the ages, almost all of the Inca gold was melted by the Spaniards – including a large golden disk of the sun. The sun mask in this image, from the La Tolita culture in northern Ecuador, has survived the vicissitudes of time. The original is in the Museo del Banco in Quito, Ecuador. 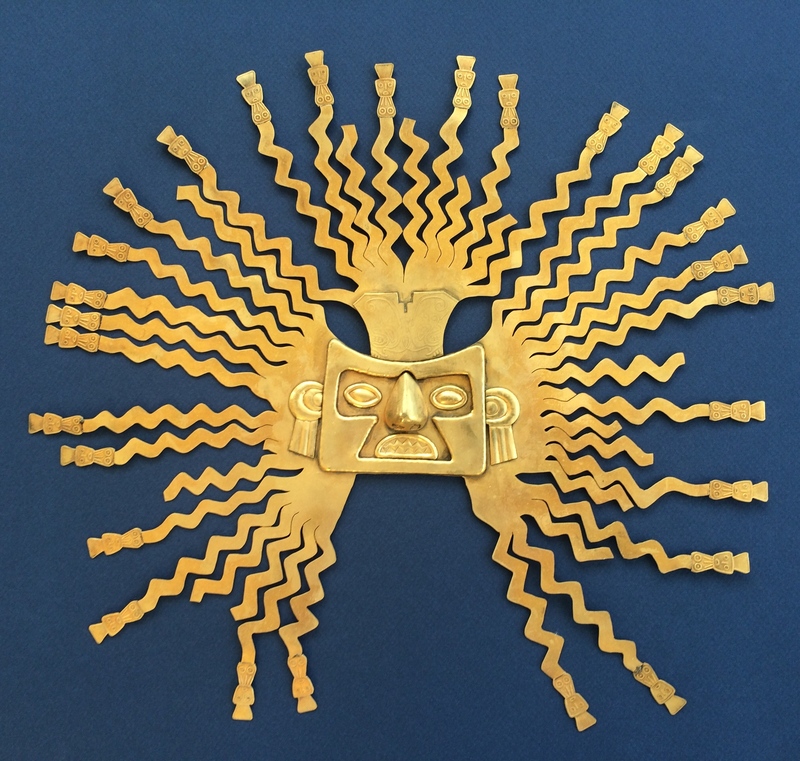 Gold was seen as a product of the sun, the ultimate expression of fire, by many cultures in South America. This mask still radiates its original energy over 2000 years after it was created. In Japan, the Land of the Rising Sun, Amaterasu Omikami is the kami of the sun (aka the Sun Goddess). She is the most important diety of mainstream Shinto and rules the domain of the spirits. Historically the Emperor of Japan and his family were considered to be the direct descendants of Amaterasu. The Grand Shrine of Ise, which is dedicated to her, is visited by millions of Japanese each year. The shrine complex and the old growth forest that surrounds it is also a sight to behold. Amaterasu is represented as a woman on fire by the creators of the Naruto video games. Her name is used for the highest level Fire Release ninjutsu in the game. The martial art technique is composed of black flames to which shape transformation can be added. It’s a whole other world of fire and mystery. Volcanoes are another expression of fire, bringing molten earth to the surface at times with explosive force. Countries that sit on the ‘Ring of Fire’ around the Pacific Ocean, including Peru and Japan, know this too well. They also have to contend with earthquakes, another potential source of fire. Hawaii sits within the Ring of Fire. It is a chain of volcanoes, pure and simple. 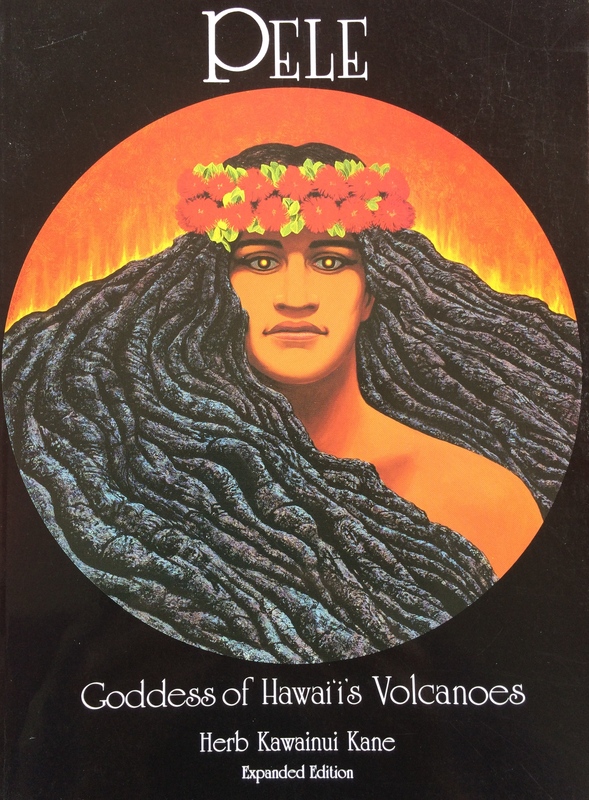 Pele, the Hawaiian Goddess of Volcanoes, intrigues me. She is described by Hugh Kane as a woman all aflame or as pure flame when she is enraged. Her sacred name as a spirit is Ka-‘ula-o-ke-ahi, the redness of the fire. Pele is another woman on fire, the personification of the natural phenomenon of volcanic activity. Now that is a woman on fire! Hugh Kane descries Pele as having a dual personality. She can be capable of sudden fury on the one hand, yet gentle and serene on the other. Friend and foe. This description applies to other elements such as water and air/wind. Australia, where I live, is a land of fire. Many ecosystems are dependent on it. Aboriginal Australians have used fire for warmth, communication, hunting, cooking and ceremony for tens of thousands of years. They and many other indigenous people have stories about the creation and consequences of fire. Bryce Courtney believes that four fires – passion, religion, warfare and fire itself – give us our sense of place and shape our national character. The uncontrollable wildfires that destroy life and property are certainly in the Australian psyche. If you asked Australians if there was only one element they connected with, I wonder if fire would be the answer. It would be interesting to find out. As explored in my post on Elemental Places, the relationship between individuals, the elements and places is a highly personal one. Azerbaijan is another land of fire. Indeed the name of the country means the “land of fire”. In this case fire refers to the natural burning of surface oil deposits or the oil-fueled fires in temples of the Zoroastrian religion. My first post on architecture and the elements refers to the striking ‘Flame Towers’ in the Azerbaijan city of Baku. We don’t have anything like that in Australia. That may be because unlike Azerbaijan, fire in its most captivating form is not a constant presence here. The bushfires that capture our attention express themselves in different places at different times. They come and go. The association between bushfires and the loss of life in Australia may also work against the construction of a building that celebrates fire. Times can and do change though, as the example below illustrates. In recent years there have been some encouraging changes in community response to devastating bush fires. This book exemplifies the shift with its aim to “achieve a really worthwhile community benefit from the apparent disaster.” The 2009 fire they refer to killed 173 people in Victoria, Australia. Art was used as a powerful medium to help people rebuild their lives after the fire. The wonderful works that have been created after this and other fires is something that I’ll explore in other posts. There is so much more to explore about the element of fire. Intriguingly the fire historian Stephen Pyne refers to fire as the element that isn’t. Others have written on the philosophy of fire or pycho-analysed our response to it. Writers of fiction love to use it in the titles of their books (I have the records to prove it). Much has been written about learning from indigenous fire management, a topic of great interest to me. Pyrogeography and megafires are other subjects receiving considerable attention. At a more personal level there is the seemingly universal enjoyment of sharing stories around a campfire. The list goes on. These and related fire themes will be covered when the opportunities arise. I may have to burn the candle at both ends to give them the treatment they deserve! PS: In December 2016 I learnt that Kyushu, the third largest island of Japan, is also called the ‘Land of Fire‘. In this case the fire in question originates from the sea. An interesting twist. This entry was posted in Aboriginal Australians, Australia, Books & reviews, Central and South America, Fire, Indigenous knowledge, Japan, Martial Arts, Popular culture, Visual Arts and tagged Australian Aboriginal, Energy, Fire, Hawaii, Inca, Japan, Peru, Shinto, Sun, Volcanoes. Bookmark the permalink. There are a lot of fire festivals in Japan, some of which are about taking prayers up to heaven on the smoky trails as the wood is consumed, and some of which seem to do with ‘illumination’ in a spiritual sense. In one notable fire festival near Kyoto, it’s considered good luck if the sparks fall from the torches and singe your clothing – one might imagine that’s bad luck indeed, but I guess there’s an element of purification. I’d love to attend that festival one day John. There is so much to write about fire in Japan that I decided to limit this post to the sun element, with passing reference to volcanoes and earthquakes. The use of fire in Shinto and Buddhist rituals and festivals is also an important part of the story, as is the impact of fires on cities of paper and wood and the efforts to stop and control fire. There is also more to cover about the role of fire in the creation story of Japan.It’s a fascinating and complex subject that I’ll return to over time. Thanks for giving readers a taste of what is to come. I did get to know the trees and seedlings well. I also came to appreciate the beauty of landscapes that have been burnt by fire. The term ‘destroyed’ is often used for these by the media. In the case of dry eucalypt forests this is definitely not the case. They have evolved with a regime of fire that supports the cycle of life. Being able to watch the forest regenerate was special, even with all the black ash to contend with. 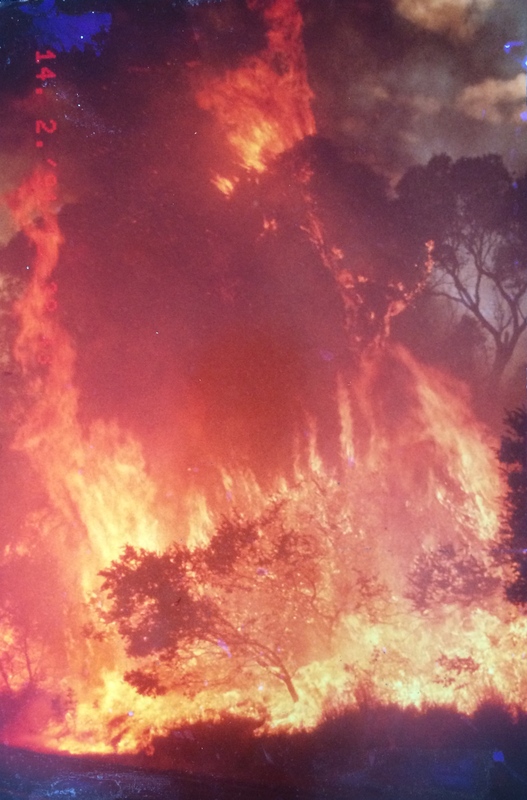 I also had the opportunity to follow chaparral seedlings after fire in Los Angeles in 1994. That opportunity arose out of my work on Black Mountain and was a wonderful experience.